Clearvue Vision Center proudly serving Kent, WA and Renton, WA. Orthokeratology is a non-surgical treatment option that corrects myopia (nearsightedness) and mild astigmatism. This specially designed gas permeable contact lens reshapes the cornea while you sleep. Upon waking and removing the lenses, you will experience clearer vision without glasses or contact lenses throughout the day. This treatment option is ideal for anyone interested in minimizing corrective wear during the day time. Orthokeratology has been around for many years but recent studies have shown that these specially design contact lenses aid in reducing myopia progression. 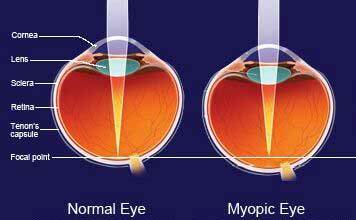 Myopia (nearsightedness) in children occurs due to elongation of the eye leading to increased risk of retinal detachment, glaucoma, cataracts, and increased floaters. Myopia is becoming increasingly common as the NEI reports that prevalence in the United States has almost doubled in 30 years. 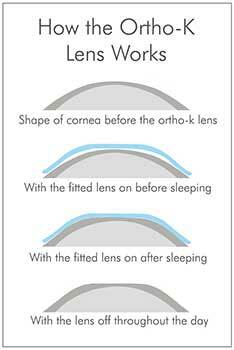 Research shows Ortho-K slows down eye growth by more than 50% compared to soft lenses and glasses. By reshaping the corneal tissue, orthokeratology lenses function similar to orthodontists’ use of braces for teeth, holding the shape of the cornea and altering how light is refracted to reduce the optical factors that are thought to cause an increase in myopia. Once the lenses are removed in the morning, the slight change in the curvature of the corneal surface results in clear vision during waking hours, thus reducing the need of daytime contact lenses or glasses. If you or a family member is interested in orthokeratology, please call Clearvue Vision Center at (425)251-9200 or schedule online at http://www.clearvuevision.com/.